and it seemed like the parade of these elegant racing machines at various exclusive events and locations was just getting started. But 2018 witnessed a splintering of the fleet and only 3 boats here and 4 boats there events occurred and the promise looked dashed. And now with Svea on the market, it appears that at least one owner has thrown in the towel. Been there, done that. Initially designed in 1937 by the renowned Swedish designer Tore Holm, SVEA was not built due to the onset of World War II, and plans were lost for decades. Over 70 years later, the plans were rediscovered and SVEA was commissioned with the intent of participating in the 2017 America’s Cup Superyacht Regatta and J-class Regatta in Bermuda. Retaining the heritage of her J-class lines, the original structure and sail plan was thoroughly updated incorporating many new features. 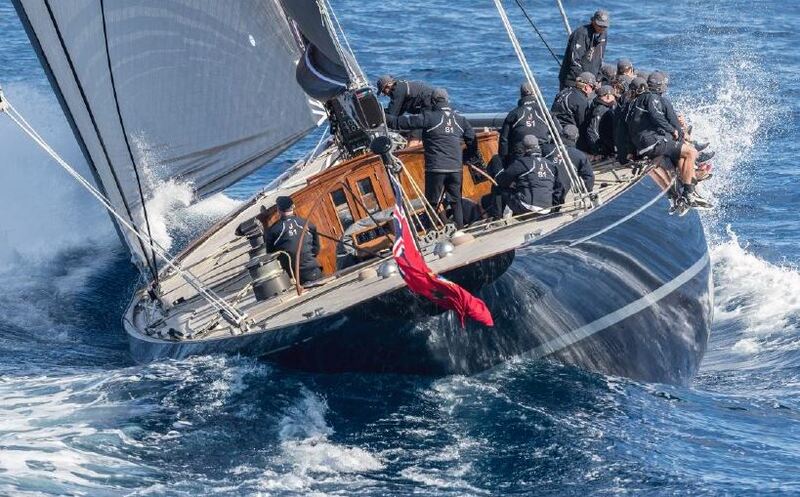 To ensure maximum competitiveness, J-class rules were considered throughout the construction, with management of the delicate weight and balance an essential aspect of the build and finishing process. 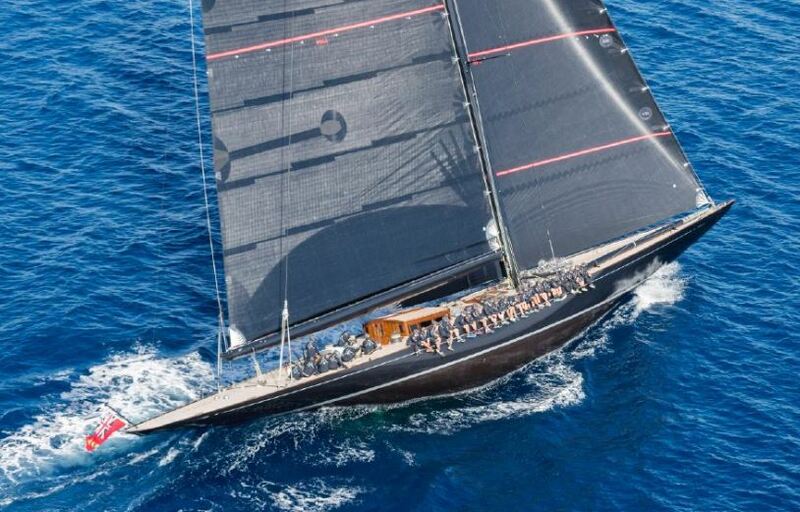 80 years after the original drawings were made, SVEA was launched as the longest J-class ever built and won her second-ever race during the America’s Cup J-class regatta. SVEA’s lines and deck are kept spectacularly clean, thanks to the compact wheelhouse, sunken wheel and wonderfully low boom. Her unusually large steering wheel allows the helms-person to position him or herself further outboard for a better view of the foresail telltales, a clear performance advantage. 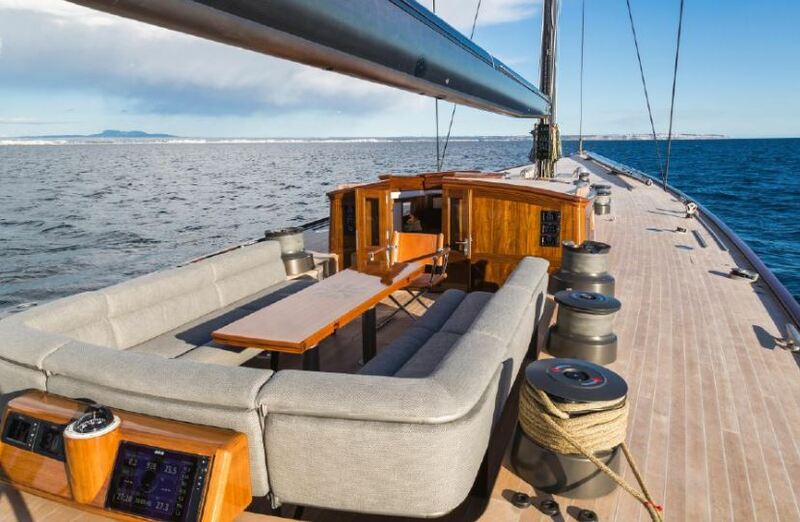 SVEA’s deck layout optimises modern racing, whilst also being a great guest area whilst the yacht is cruising. SVEA has been meticulously designed with her racing capabilities in mind, however her interiors are not compromised with a luxurious interior below deck designed by the renowned yacht interior designer Pieter Beeldsnijder. SVEA's boasts a semi-classic interior which nods to the history of the yacht while providing a contemporary look and feel. Cream panels and walnut veneers keep her bright down below and her main salon benefits from a large deck light, flooding the space with natural light. 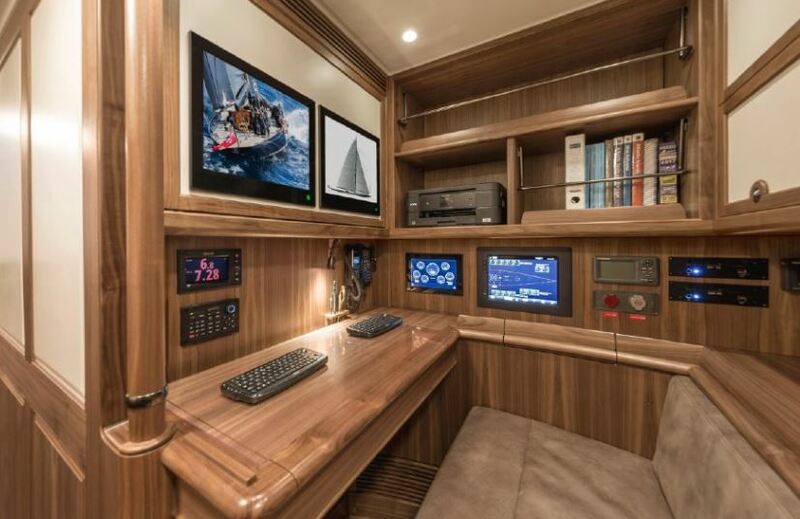 The galley can be opened up to the comfortable salon and dining area by the drop down wall panel creating easy access to the galley while racing, and a relaxed breakfast bar and dining area while cruising. With an owner’s suite, plus two en suite guest cabins SVEA can accommodate up to 6 guests plus 7 crew members. SVEA is one of the most outstanding yachts of modern times - an incredible fusion of 1937 design and 21st century technology. Her current owner has spared no expense. SVEA comes with a complete wardrobe of North 3Di RAW racing sails and a delivery wardrobe, a carbon fibre mast by Southern Spars and a 10m Humber RIB. When the wind dies, her main engine gives her a range of 2,200nm at cruising speed. 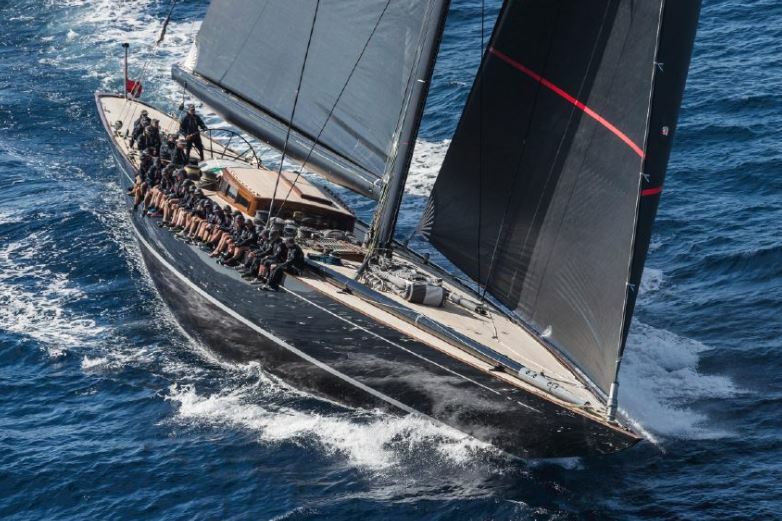 SVEA is an exceptionally advanced and an unsurpassed sailing yacht, she arrives to market as the newly-crowned 2018 J-class champion.
" I just found out my nest egg has salmonella"
I guess Tom got bored? Curious statement. Is the tax man standing at the docks with a large bill?